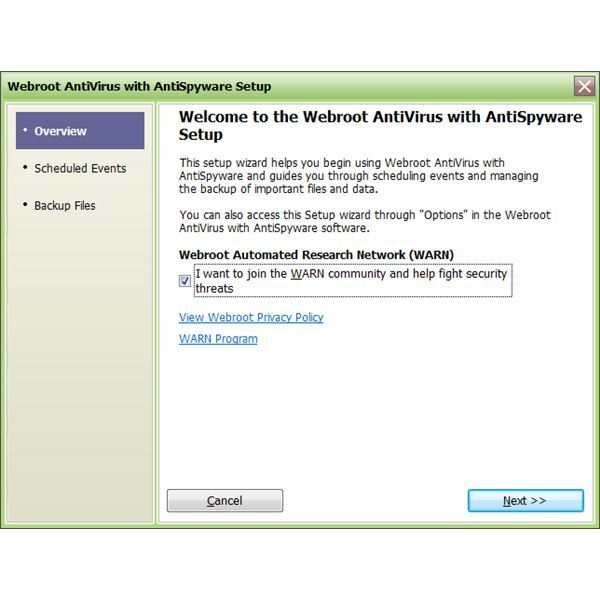 What is Webroot AntiVirus with AntiSpyware? Webroot AntiVirus with Antispyware 6.1 provides state-of-the-art protection against viruses, malware, spyware and potentially unwanted programs. The software shields your computer and your privacy in real-time in a combination of behavior analysis and over a million threat signatures. Additionally, Webroot's deep scans of your hard disk space called sweeps and inspection of your computer’s RAM take out malicious pieces of software possibly already hiding on your computer. The award-winning synthesis of antivirus and antispyware adds an additional layer of protection against infections of your system by blocking suspicious activities and malware-containing downloads. Minimum system requirements for Webroot AntiVirus with Antispyware are 100 MB free hard disk capacity, a 300 MHz processor, and 256 MB RAM; Firefox 2.0, Internet Explorer 5.5 or a more recent version of these browsers is also required for connecting to the vendor’s web site. The software runs on 32-bit versions of Windows Vista with or without Service Pack (SP) 1, 64-bit versions of Vista with SP1, as well as on 32-bit versions of Windows XP SP1, 2 and 3. Moreover, Webroot AntiVirus with AntiSpyware version 6.1 is Windows 7 and Vista® 64-bit compatible. On Change Install Options on the first screen after initiating the installation you may change the program path and disable that updates are downloaded during the install. 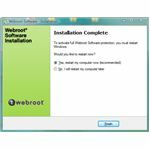 Before continuing you may want to deactivate the checkbox at the bottom: “I agree to install the Webroot Ask toolbar and make Ask my default search …" The install then goes on with downloading updates by default. Upon completion of the install you have to reboot your computer. On the next screen setup lets you choose whether to join the WARN community explained in the features section of this article, followed by scheduling a periodic system scan. 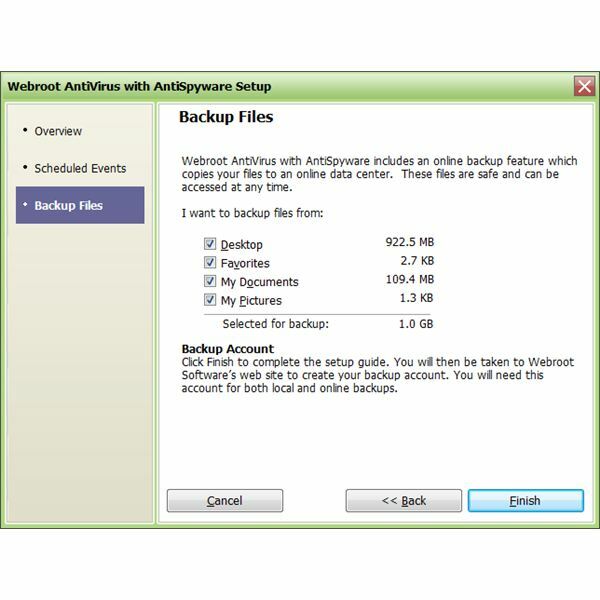 It then gives you the possibility of creating an online backup at Webroot’s datacenter. 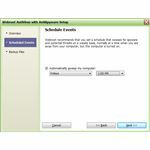 Registering your Webroot AntiVirus with Antispyware has a number of advantages and concludes setup. 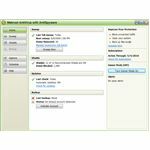 The interface of Webroot AntiVirus with AntiSpyware is straightforward and logically organized. The left pane is used for navigation and contains the buttons Home, Sweep, Shields, Backup, Options, Schedule as well as Help. Details of pertinent items can be viewed and configured in the right pane of the interface with Shields being tabbed to manage the numerous options of the five the sub items explained below. Webroot AntiVirus with AntiSpyware protects your computer against over a million of threats and intrusions including viruses, worms, Trojans, spyware, potentially unwanted programs, keyloggers and rootkits. Webroot’s Windows System Shields protects you from Active-X spyware items, Alternate Data Stream (ADS) executions, and safeguards your computer's services. On the same tab in Shields you can configure advanced settings for virus and spyware program quarantine, on read-scan options as well as sandbox analysis just to name a few items. Shields – Startup Programs contains settings responsible for monitoring your computer’s auto-startup entries for spyware, or alerting you of startup configuration changes if you want. 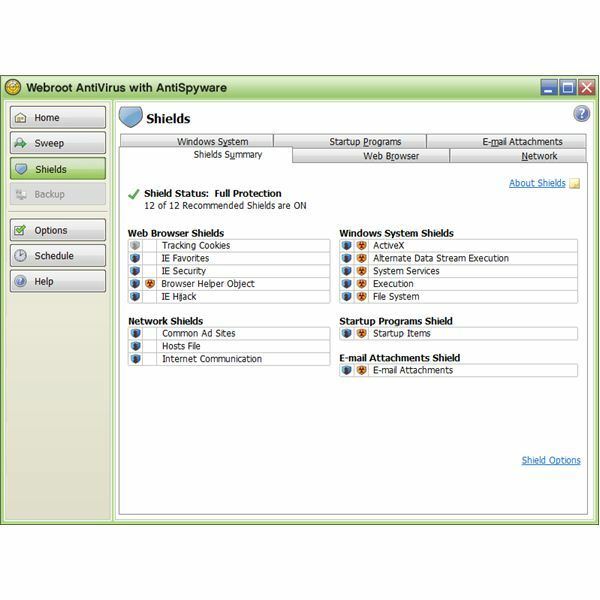 Manage email quarantine locations and automation on the Shields – E-Mail Attachments tab of Webroot AntiVirus with AntiSpyware. In Network Shields then you can view and manage protection from common ad sites and have your hosts file monitored for DNS spoofing. If Internet Communication is ticked the software watches sites known for potentially unwanted programs, too. Shields – Web Browser configurations secure your Internet Explorer settings including your start page from unwanted modifications. On top of that does the Web Browser Shield clean your system from tracking cookies and Browser Helper Objects (BHOs), a perfidious attack vector of malware. However, please note that BHO- protection is disabled by default. 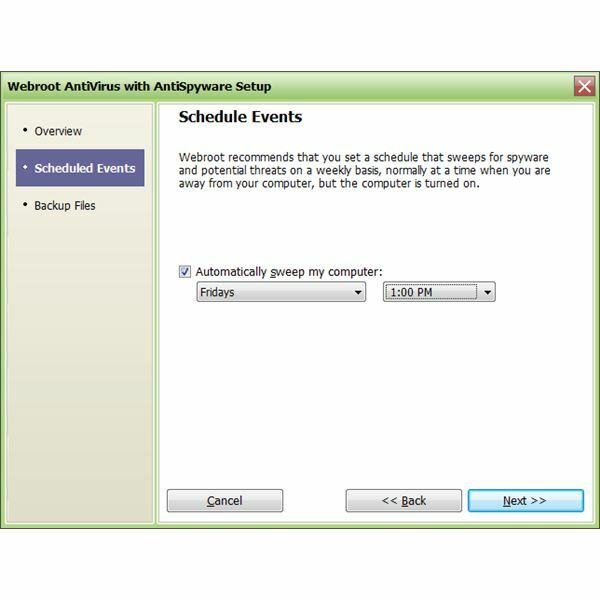 Webroot AntiVirus with AntiSpyware scans your system periodically and on-demand. You can select where to sweep, what to sweep, e.g. all attached drives, Windows Registry and compressed files, specify exclusions and designate actions for items found in RAM or disk space. Yet, the programs lacks to spell out the path to viruses or malware it found! Behavioral detection is enabled by default, whereas for optimal rootkit protection you should turn on Sweep for masked files in the advanced options of custom sweep. Quick, custom, and full scans of your computer can be scheduled to run periodically whenever you want or when you log on. 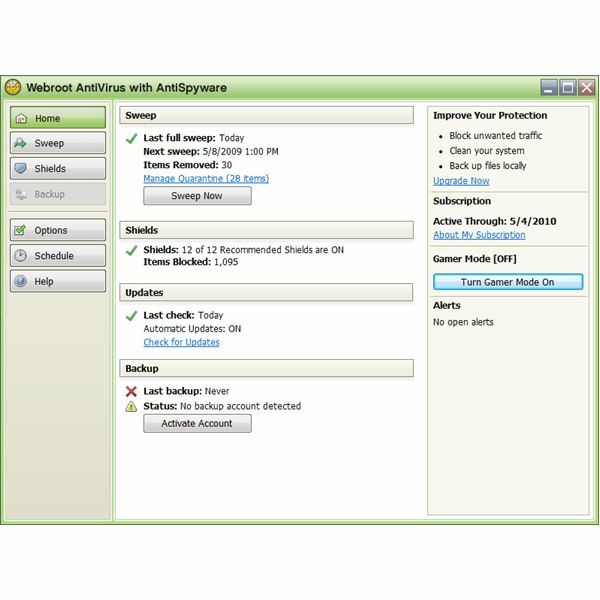 Webroot AntiVirus with AntiSpyware monitors your computer in real-time and alerts you of suspicious events or harmful downloads for example. To watch movies or play online games undisturbed you can switch to Webroot’s Gamer Mode with most shields and all alerts being temporarily turned off. The software will automatically revert to normal mode after four hours so as to protect you from forgetting to switch back to strong computer defense. Webroot leverages its features trough WARN (Webroot Automated Research Network), the community of Webroot users who let the software automatically gather information on suspicious files and malware on their computers to help recognizing and fighting emerging threats. On top of that can you save up to 1 GB of personal data on the vendor’s website. The online Web backup can be extended to allow for secure storage of up to 50 GB for an additional fee. Last, but not least can you can keep the settings of Webroot AntiVirus with AntiSpyware save by means of a password, for instance if you are afraid of someone fiddling with the configuration on a shared computer. Webroot AntiVirus with AntiSpyware 6.1 by default automatically runs at its maximum speed during sweeps and needs about the same amount of time till completion as competing products which scan for viruses only. Webroot's detection and removal capabilities are top notch. The product has earned West Coast Lab's Checkmark certification and receieved the VB100 award. In short, Webroot AntiVirus with AntiSpyware is likely to stop pretty much any malware that you're likely to encounter in the wild. The help menu is very good but its depth could be improved a bit. The online support section contains a searchable knowledge base, a Webroot AntiVirus with AntiSpyware user guide and contact information for free support over the phone or by email. 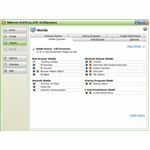 Webroot AntiVirus with AntiSpyware 6.1 costs $39.95 for one year, $59.95 for two years and $79.95 for a 3 year subscription. That’s less than ten cents a day for award-winning anti-virus and anti-malware protection plus a Gigabyte of online backup. The vendor is so convinced of its product that you can buy Webroot AntiVirus with AntiSpyware 6.1 with a 30-day money-back satisfaction guarantee.